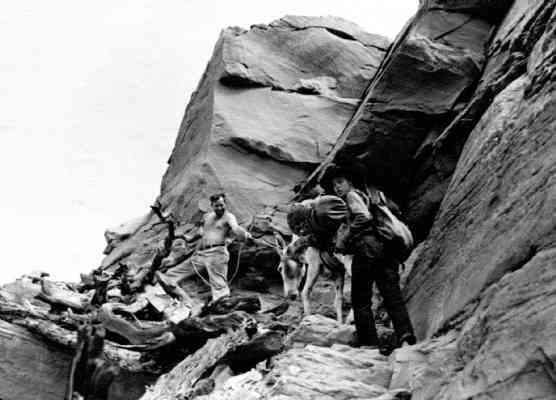 Everett Ruess, right, helps archaeologist Clay Locket pull a burro up a steep stone trail in Tsegi Canyon in July 1934. COMB RIDGE, Utah - Exploring the Southwest on foot and with burros in the early 1930s, 20-year-old vagabond artist Everett Ruess wrote, "I shall always be a lone wanderer of the wilderness. ... I'll never stop wandering. And when the time comes to die, I'll find the wildest, loneliest, most desolate spot there is. "Now we know he did. The remains of Ruess, who disappeared in the fall of 1934, recently were identified. 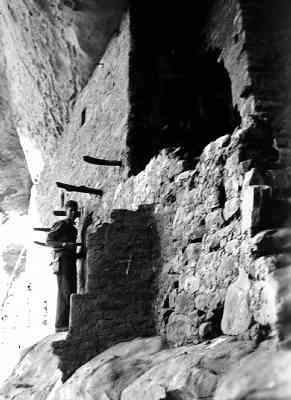 David Roberts, in a story in National Geographic Adventure and subsequent stories in The Denver Post, the Salt Lake Tribune and by the Associated Press, confirmed that skeletal remains found near Chinle Wash and Comb Ridge on the Navajo Reservation in southeast Utah south of the San Juan River are those of Ruess. Why does it matter? Because I teach about Ruess at Fort Lewis College in popular wilderness courses where men and women, exactly his age, have been caught up in the Ruess legend from comments about him by John Nichols, Wallace Stegner, Edward Abbey and Jon Krakauer. W.L. Rusho's biography about Ruess, titled A Vagabond for Beauty appeals to students, as does the documentary/drama film "Lost Forever: Everett Ruess" produced by Diane Orr. College students find his story captivating. In our wilderness class, we talk about personal responsibility and survival, about being prepared, about going out and coming back. Wilderness has shaped our American character, and wilderness shapes us, too. For over half a century, Ruess has been deeply tied to wilderness issues in the American Southwest. 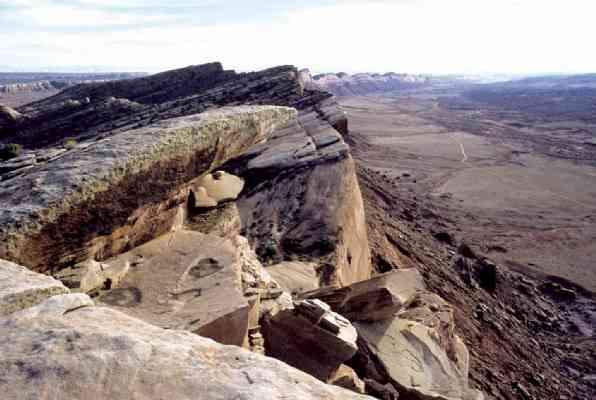 He became a symbol for wilderness for the Southern Utah Wilderness Alliance, which continues to seek congressional designation to permanently protect some of the landscapes Ruess traversed. His wanderings and abrupt disappearance have attracted searchers and researchers for 75 years. 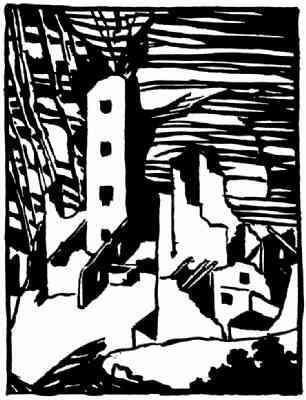 In his last letter, written Nov. 11, 1934, from the Escalante Rim to his brother Waldo, Ruess wrote, "As to when I shall visit civilization, it will not be soon, I think. I have not tired of the wilderness; rather I enjoy its beauty and the vagrant life I lead, more keenly all the time. I prefer the saddle to the streetcar and star-sprinkled sky to a roof, the obscure and difficult trail, leading into the unknown, to any paved highway." In 1935 volunteers repeatedly searched Davis Gulch where he was last seen. Dr. Robert Lister conducted salvage archaeological work in 1957 before the dam flooded Glen Canyon producing Lake Powell. One day eating lunch in Cottonwood Canyon, Lister's wife Florence remembers, "The survey crew found a smashed tin plate and cup, a tube of mentholatum that said Owl Drug Co. - Los Angeles, and dried up tubes of paint pigment," which could have belonged to Ruess. Then the trail went cold. Fifty years later, Navajo carpenter Denny Belson learned from his cancer-stricken sister Daisy Johnson in Farmington, N.M., a story told her by their grandfather Aneth Nez. He said he had witnessed the murder of a young white man by three Ute Indians who rode up on the boy, hit his head with a rock, and took his belongings. Out of fear, Nez hid the body along the Comb Ridge crest in a traditional Navajo rock crevice burial, keeping the story secret for three decades. When he became sick, Nez went to a medicine man who said that to perform a healing ceremony he needed a lock of hair from the dead man, which Nez acquired. After the ceremony Aneth Nez got better for 10 years before passing, but recently his daughter had a recurring bout with cancer. She told the story to her brother, who in May 2008 went in search of the remains. A 75-year-old mystery has now been solved - or has it? Did Everett Ruess visit a Navajo girlfriend? How did he cross the Colorado River during high water? Why were his remains found 60 miles east of where he was last seen? New questions arise as old ones are laid to rest. One question is about Ruess' assailants. Would three Ute Indians have been riding horseback deep into the Navajo Reservation in 1934? Dr. Robert McPherson, College of Eastern Utah historian and an expert on southeast Utah, has recorded numerous local oral histories. He says, "I've heard nothing about the murder. 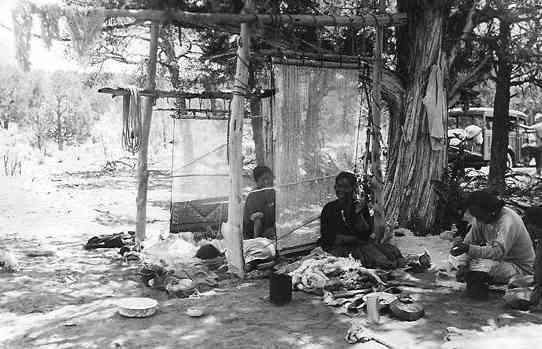 Chinle Wash and Comb Wash were well-traveled thoroughfares in the old days, and so it is entirely possible that Navajos, Utes and Ruess could all have been using it to travel either north or south." Perhaps Navajos killed Everett Ruess and Aneth Nez hid the body to protect someone, and in his story blamed the death on Utes, historic enemies of the Diné, or Navajo, people. Riley Mitchell, chief of interpretation at Capitol Reef National Park, explains, "I've been out looking for Everett for years." She has used him as a metaphor to talk to visitors about why Southwestern landscapes appeal to so many. To her, Ruess represents "that longing for our desire to connect with nature, to get away from cities, to touch the earth again." And she's equally confused about why Aneth Nez would have moved a white man's body killed by Utes. She ponders, "For a traditional Navajo to touch a dead body is a considerable risk. You'd have to have a lot at stake." And then there's the question of why Ruess' remains were found 60 miles east of where he wrote that he was going "exploring southward to the Colorado (River), where no one lives." I have a possible answer. Some of the last photos of Everett were taken in summer 1934 by members of the Rainbow Bridge Monument Valley Expedition (1933-38), the last major scientific expedition in the Southwest. 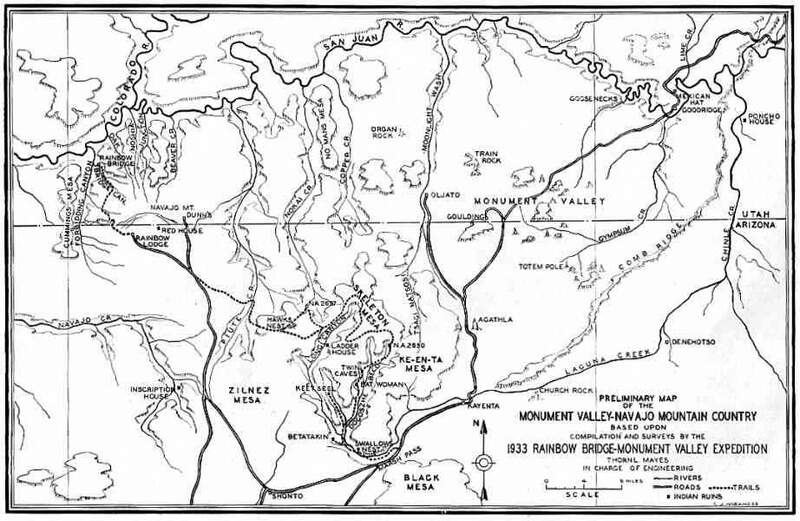 Ruess worked odd jobs for food, so perhaps he decided to go east instead of south for some good meals and companionship as the expedition scouted the Southwest with its own secret agenda - to carve a huge slice out of the Navajo Reservation to create a vast national park that did not happen. Ruess may not have realized that. Because expedition members worked at Eastern universities, they only surveyed the Southwest in the summer. We'll probably never learn what Everett Ruess was doing near Bluff and Comb Ridge, Utah, in fall 1934. Though there's sure to be another book and possibly a movie about his life, we'll never know for certain who killed him and why. Will his bones now rest in peace? Perhaps. Will he lose his power as a symbol of Southwestern wilderness? I think not. America needs and loves its wilderness heroes, and as a young romantic artist Ruess will always represent solo hiking lonely trails and the passion of following a dream. gulliford_a@fortlewis.edu Andrew Gulliford is a professor of Southwest studies and history at Fort Lewis College.